Gunther von Hagens' BODY WORLDS, Institute for Plastination, Heidelberg, Germany. Is this the new Noah’s Ark? 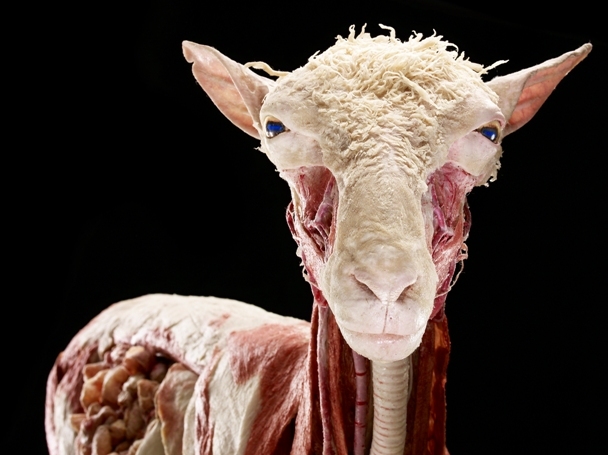 Gunther von Hagens, the mastermind behind the controversial Body Worlds exhibition, and his team have prepared 90 plastinated animals and capillary specimens for their new project: Body Worlds of Animals. Each plastinated specimen displays the intricate insides of some of the most well-known and spectacular creatures, from gorillas to sharks. Von Hagens has been working on plastinating animals since 2000, but it was until a female elephant died in 2005 that he conceived this exhibition which is currently on display at the Natural History Museum in London. 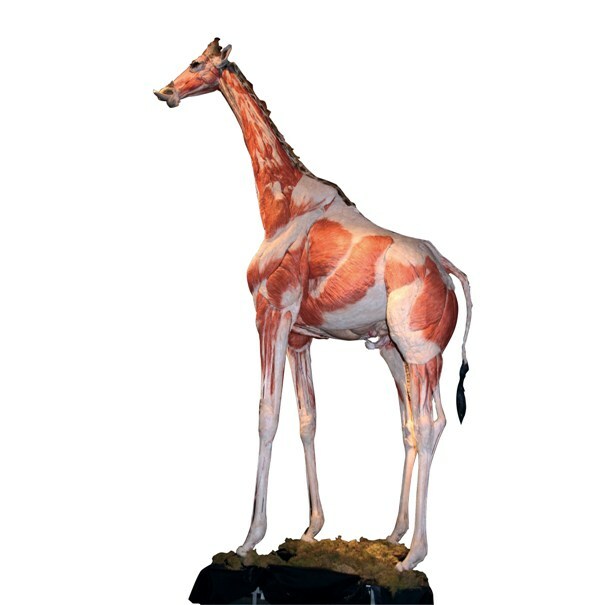 While working on this project, von Hagens discovered fascinating anatomical facts, for example a giraffe’s skin is more vascularised in its dark parts than in the light one; and the trunk of an elephant has more than 40,000 muscles. Plastination is a technique invented in 1977; in it the water and fatty tissues are removed and replaced with a polymer — this prevents decay and preserves the structures. 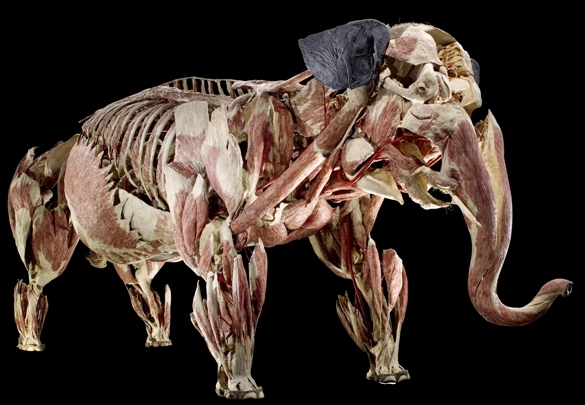 Adapted from Body Worlds Animals, Animals Inside Out will be on display at the Natural History Museum until September 2012.